No. This isn’t about Josiah Wedgwood. Although, if he were around today, he’d probably say it should be. He was potter to a queen. Still, Wedgwood might assert that his 1763 marketing coup of labeling himself potter to royalty was a first. It made him rich. And famous. But the assertion would be wrong. He wasn’t the first. 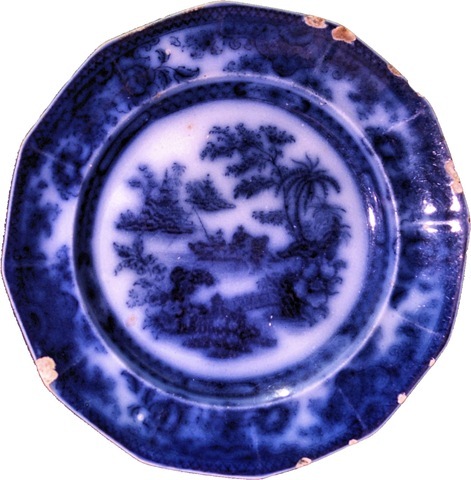 150 years earlier, German immigrant Christian Wilhelm called himself “Gallipotter to the King.” A “gallipotter” made delftware. Or faience. Or maiolica. Whatever you want to call it. He called it, for reasons lost to time, “gallipots.” The king to whom he was potter would a few years later also lose something. His head. He was Charles I. At the time, the colorfully painted earthenware coming out of Holland was all the rage. Charles, as any self-loving king would, liked to surround himself with finery. And as far as European pottery went, Delftware was right up there. The English were enthralled. They sought out delftware potters and their knowledge. In 1567, Antwerp potters Jaspar Andries and Jacob Janson were two of the first to be enticed (as refugees with no choice?) to England. They set up shop in Norfolk. In 1571 they moved to London, near the future lodgings of William Shakespeare in Aldgate. They probably chose Norfolk first because of it’s clay, the primary source for potters back in Delft throughout the 17th century. It also didn’t hurt that practically all the tin used in Holland and Italy for this kind of work came from Cornwall. The locals eagerly learned the trade. Delftware potteries in London, Bristol and Lambeth would flourish – until Wedgwood came along. There was an awkward spell during the Commonwealth era. With ornamentation out of official favor, most delftware decoration was either subdued or non existent. G.F. Garner, author of English Delftware, felt this to be a particularly delightful period in that the charming forms were allowed to exist on their own merits. But some highly decorated items were still made. Even chargers with images of Charles I.
Christian Wilhelm died in 1630, about 20 years before Charles lost his head. Had Wilhelm lived maybe he, like so many others, would have knuckled under and produced plain Commonwealth delftware for a time. Maybe he would have made some of those Charles I chargers that still found their way out the shop door. 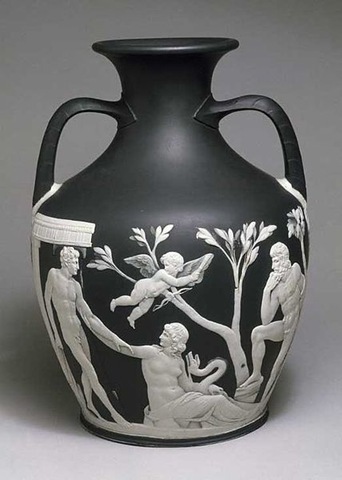 And just maybe, had he come up with a more pleasant sounding name than “Gallipotter” to the King, he might have been as well known today as Josiah Wedgwood. English Delftware. GF Garner. Van Nostrand Co., Inc./New York. 1948. Dutch Pottery and Porcelain. W. Pitcairn Knowles. Scribner’s/New York. 1940?